Diwas Raja Kc is a researcher, writer, and curator based in Kathmandu. He pursued graduate studies in visual culture and history in Sarah Lawrence College, New York, and University of Michigan, Ann Arbor. 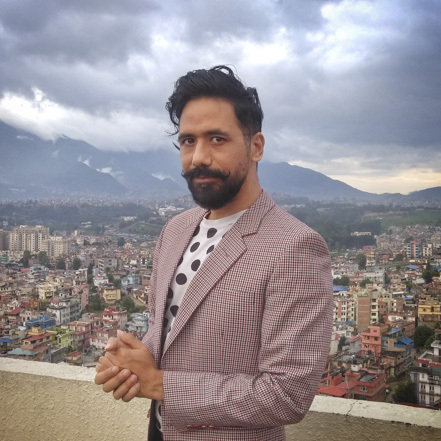 At Nepal Picture Library, he works on building visual archives and presenting documentary images of historically obscured subjects. His curatorial show Dalit: A Quest for Dignity (2016) explored ways of witnessing assertions and obfuscations about Dalit past in Nepal. He also works as a documentary film editor and has worked with several renowned artists and visual anthropologists. Kc gives workshops on visual storytelling and has taught courses on social history and historiographical methods.